I enjoy office supplies. And while I enjoy funky imported hard to find supplies, I enjoy dollar store finds, too, so long as they aren’t junk. 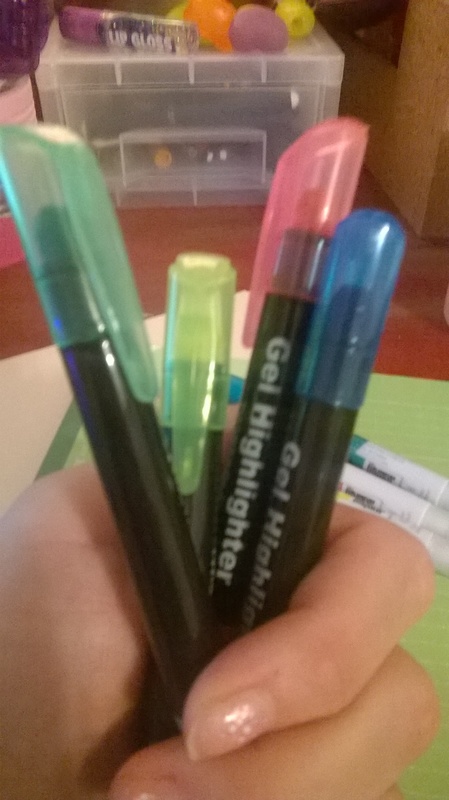 Recently, I found some erasable highlighters and gel highlighters at my local Dollar Tree. I’m over the moon about the gel highlighters. I use them for highlighting in my Bible and they don’t smear or bleed. And they are a fraction of the price name brand ones cost. SCORE! 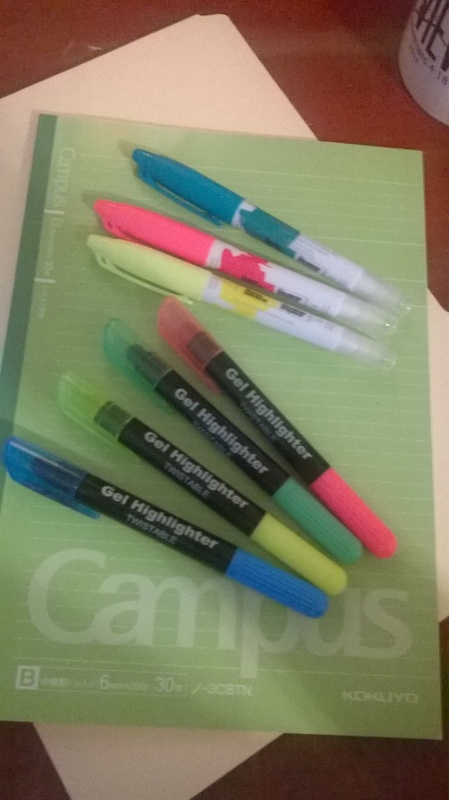 I really do love these Dollar Store gel highlighters! They come two in a pack. Here I tested my gels on UniBall AIR ink written on ultra glossy Kokuyo Campus paper. The gels smeared horribly after about one second. I waited 15 seconds and the results were significantly better. The paper is smooth, and the AIR ink is wet. I wasn’t surprised at the smearing, just disappointed. 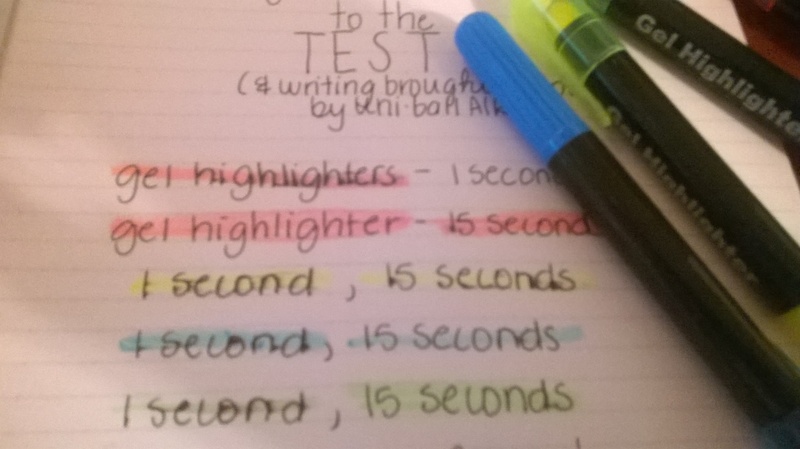 Here are the erasable highlighters. 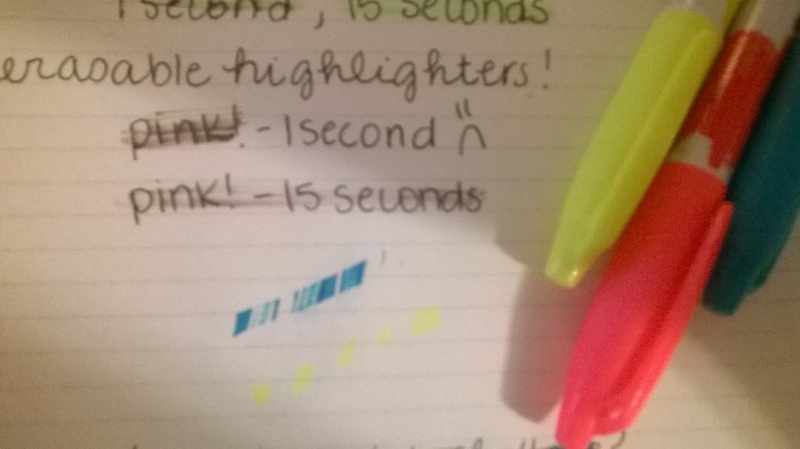 I really, Really, REALLY want Pilot Frixion erasable highlighters, but those aren’t in the budget right now. 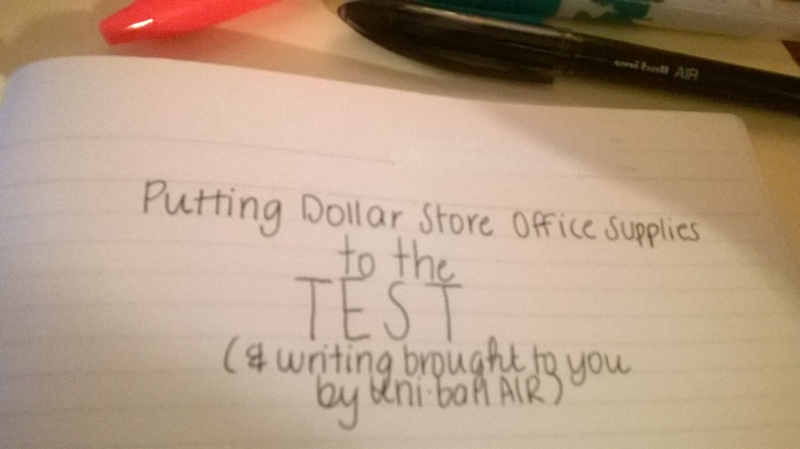 I picked up a three pack of erasables at my local Dollar Tree and really do like them. Unfortunately they don’t perform well on smooth paper over wet ink. Super smudgy!! I switched to my Zebra Z Grip Flight pen and MUCH BETTER! Absolutely no smearing and the ink left behind was just about flawless. 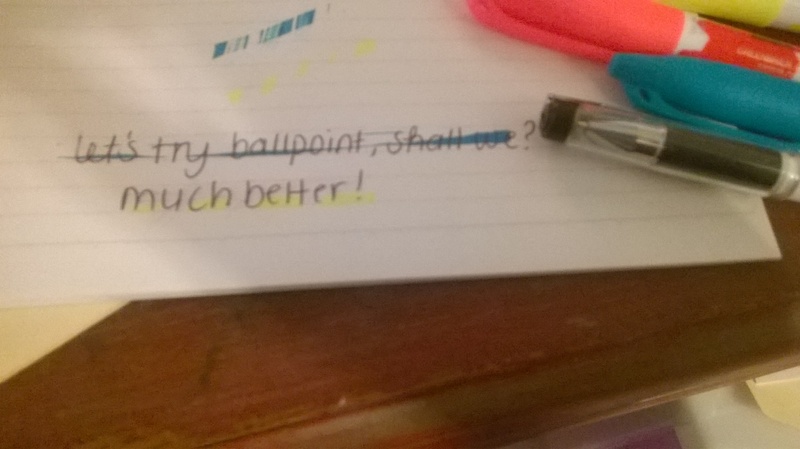 The blue highlighter is super dark, though. 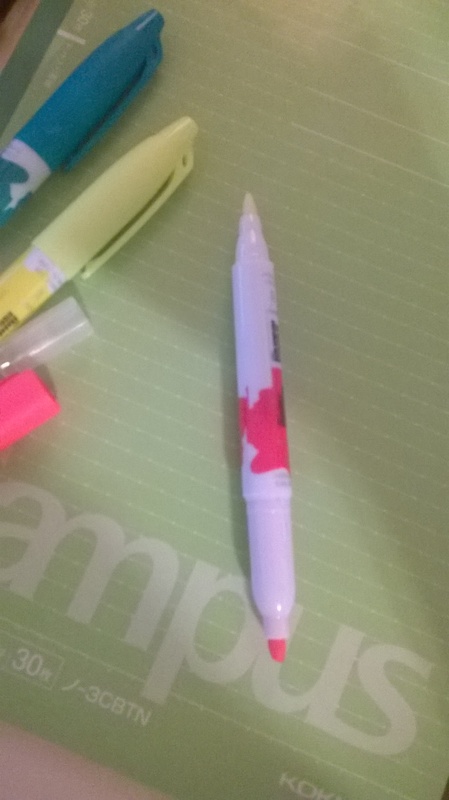 It’s more of a marker, not necessarily a highlighter. But pink and yellow are definitely useable! Not too bad for a buck!